These words capture the general attitude by Kenyans, held as much by officials as by ordinary people, towards an epidemic of mental illness in the country. Health experts have estimated that a fourth of the Kenya’s population suffers from a range of mental diseases, including schizophrenia and other psychotic disorders, bipolar disorder, depression and severe anxiety. Kenya has only about 80 psychiatrists and 30 clinical psychologists, fewer than its 500 psychiatric nurses, of which only 250 work in mental health. According to the World Health Organization (WHO), yet the country spends only about 0.05% of its health budget on mental health. About 70% of mental health facilities in the country are located in the capital, Nairobi. The widely held view in Kenya that mentally ill patients brought the disease upon themselves by using illicit drugs may be one reason the government does not prioritize mental health. Experts have also pointed to a tendency to view acute mental health diseases as supernatural afflictions that can be cured only through spiritual or traditional medicinal interventions. Families of the mentally ill often turn for a cure to these interventions, or to “prayer camps” – retreats where the sick person is often chained to trees and prayed for. Over the past couple of years though, a significant number of Kenyans have gradually begun to understand the much-tabooed subject of mental health. Some celebrities have also become ambassadors of the topic and have taken to the media to share their personal journeys with problems like anxiety and depression. However, this still isn’t enough to stem the rising cases of suicide related deaths caused by mental health issues. As a society it is imperative that we acknowledge the existence of mental health so that we may begin our journey towards remedying those in need. Despite age, fame, house, family, or surroundings; anyone can experience an imbalance of the mind leading to thoughts that don’t seem to make sense but are overpowering enough to force you to take your own life. Perhaps the biggest problem as demonstrated by the many cases of suicide is that people with seemingly normal and healthy lives suffer deep within. We live in communities and it is up to us to be aware of those in our surroundings. A person with depression might not always cry out for help, it is the subtle change in behavior that hints towards mental troubles. By being more alert we can do our part in ensuring suicide rates fall as low as possible. It is our job to help those who don’t even ask for help. Kenyans have hopes and dreams for the future; for its children, neighbouring countries, and the global community. These aspirations rest on the shoulders of the youngest generation. August 12, 2018 marks the 18th celebration of the U.N.’s annual International Youth Day with this year’s theme being ‘Safe Spaces for Youth’. This awareness day is a unique opportunity to reflect on youth’s challenges and to celebrate and support the world’s future leaders. The features of settings where young people spend their time have been found to decisively impact on a young person’s development. The provision of a safe space is thus an essential component of effective community youth programs in health promotion that aim to enhance positive youth development. Peer programs such as the ones run by the Alfred Polo Foundation aim to create a safe, supportive and experiential learning environment for youth. For young people lacking social skills, a safe space is somewhere they can learn and practice new skills and receive constructive feedback. For young people who may be subject to bullying, abuse, harassment or negative and unsupportive peer and adult influences, a safe space equates to a type of refuge where they can be assured of physical and psychological safety. For young people who are fearful of accessing mainstream support services, e.g. a school counselor, a safe space is somewhere they can access information and support without fear of being judged or having to face the consequences of disclosure. This fear may be based on their own or others’ negative experiences or inaccurate perceptions and beliefs of what they may encounter. Safe Spaces include community dialogues, local meetings, workshops, and any forum for expanding viewpoints and encouraging vocalization. These settings both stimulate civic engagement and provide feedback to authorities. For Kenya, some of these opportunities have arisen from recent reforms attempting to resolve the same issues youth identified. One such initiative is devolution, increasing regional and local authority, affording more chances for community and youth engagement. These kinds of improvements, along with methods such as participatory development – the identification and implementation of projects that directly address community identified needs – enable youth to be empowered. Youth benefit from remaining involved, active, and vocal in their communities, and in turn, governance systems can better support youth. The celebration and promulgation of Safe Spaces for youth in Kenya and beyond is crucial in supporting what the world needs to ensure flourishing future generations. The Alfred Polo Foundation was founded by Mr. Alfred Polo in 2011; who also serves as the foundation’s executive director. The main reason he founded this was to focus on human rights, children and youth rehabilitation, youth mentoring, youth economic empowerment, environment preservation and poverty eradication in Kenya. To that end, Alfred Polo Foundation has carried out activities in schools, universities and youth community based organisations to promote and nurture leadership skills among young people. Other activities include; preservation of the environment through tree planting, wildlife endangerment and protection training for communities in wildlife habitats, streets cleaning activities, sports and competitions that promote human rights and peace, reduce violence and remove boredom and idleness among the youth. Mr. Alfred Polo has also been very keen on enhancing career guidance and counselling amongst the youth as a way of helping them re-discover their talents early and identify which suitable careers to pursue. This is done through partnership with other organisations and stakeholders, which include involvement of other outstanding personalities, celebrities and volunteers of diverse cultural backgrounds. It is in light of this that we ask you to support us by nominating our founder, Mr. Alfred Polo, as a 2018 CNN Hero. Not only is he a hero and mentor, he is also wonderful individual who commits himself effortlessly – his heart, his soul, and his time to our youth. Do not hesitate to contact us for any clarifications. Youth empowerment can be done in many ways; and one of the ways that the Alfred Polo Foundation decided to do this was by improving the water situation at Mirogi Boys Secondary School. During our previous visit to the school, read about this visit here, we made a number of pledges to the school and one of the pledges was to donate KSh. 50,000 to the school’s ICT program. After thorough consultations with the school, it was decided that the money be used to purchase a water tank. This is because water was a more crucial priority. The launch date was set for 30th June and the APF team set out to grace the event. Also present at the event was the school’s board, principal and teaching staff. The students had organised a number of entertainment activities including: dances, skits, singing among others. The entertainment side of the event showed just how talented and all-rounded the students are; in addition to focusing on academics they also are able to take part in extra-curricular activities. Following the entertainment, speeches were given by the APF team and the school board members. Focus was giving on discipline, academics and the students were encouraged to pursue their talents such as music, drama etc. With this, the event proceeded to the dormitory area where the water tank and taps have been set up and launched to much pomp and glory. Statistics show that children who read, succeed. Reading and being read to at an early age not only increases success in the classroom, but in life. It develops critical thinking skills and creative imagination. Education and reading are highly valued in Kenya, and nearly every school in the country has a library. These libraries need a reliable supply of up-to-date, relevant books to continue to attract regular and new readers. It is for this reason that Moran (E.A) Publishers Ltd have partnered with us by providing a donation of books in order to raise educational standards in the schools where the books will be donated to. Moran Publishers offer the most effective, well researched and appropriate educational resources throughout Primary, Secondary and Tertiary learning institutions in the country. The Alfred Polo Foundation is extremely grateful to Moran Publishers for this gesture and we look forward to partnering with them more on our future projects. On 9th March, 2018 we made a trip to Homa Bay county for a series of events. Among our entourage were two of our guest speakers: Carine Umutoniwase, Executive Director at Footprints For Change, and Ken Ogolla, a career administrator from the University of Nairobi. First on our stop was Manga Primary School where we had scheduled to speak to the pupils in classes 6, 7 and 8. We were received by the school’s principal and after introductions to the teaching staff and student body we commenced the day’s activities. Shortly thereafter, we proceeded to Manga Secondary School which is right adjacent to the primary school. Here a more lengthy discussion was held that focused on peace, discipline matters and careers. The students were reminded that secondary school was just a short phase in their lifespan but that it would greatly determine how their futures would turn out. At the end of the discussion the students promised to adhere to school rules and regulations to avoid cases of indiscipline; they also promised to focus on excelling in their academic work in readiness for their KCSE examinations. The following day, 10th March 2018, the APF team embarked on two more visits. The first being Mirogi Boys Secondary school. This was an especially important visit being that 3 of the foundation’s team members (Alfred Polo, Maurice Okello, and Sunday Ochieng) studied here. The themes focused on peace, discipline and career. Madam Carine took over the peace and discipline discussions as she presented major points on a slideshow. Her discussion was meant to encourage the students at Mirogi not to engage in acts that might deter the peace in their school, home region or even the country itself. Acts such as incitement by politicians generally affect the youth as they’re more vulnerable; the 1994 Rwanda genocide was used as a point of reference for this. Mr Ken Ogolla then took over for the career discussions. The students were reminded that their secondary school education and subsequent KCSE results would be crucial in determining what career paths they will end up on. Students were also asked to identify their strong areas and weak areas in order to be able to make the right choice when choosing a career path. The session ended after an interactive Q&A session with the APF team and the two guest speakers. Students promised to improve on discipline; the APF team also made pledges to the school. One being that they would be donating KSh. 50,000 to improve ICT facilities in the school (this money was eventually used to buy a water tank for the school as it was of higher priority), secondly was a pledge made to one of the students who would get a full school uniform. The school’s headboy was gifted with new mattress, as were most students who were awarded pens and notebooks. This final session concluded this rewarding visit to Homa Bay by the Alfred Polo Foundation. The team looks forward to having more additional forums in other counties. Despite being the largest economy in East Africa, a large percentage of Kenya’s population lives in absolute poverty, earning a meager KSh.100 a day. People around the country are involved in multiple occupations, ranging from formal jobs to the informal jobs. While there is certainly no lack of skilled labor in the country, there is a lack of literacy among the nation’s poor resulting from the financial inability to acquire a proper education. This creates a vicious cycle, where generation upon generation of underprivileged individuals is unable to obtain the education they require to become successful in today’s ever changing society. The youth have tremendous power to change this situation. Initiatives like forming self-help groups and spreading awareness in rural areas, educating the illiterate in one’s own localities, creating charitable programmes for poverty etc, can be the measures which we can take against poverty. Poverty eradication and environmental protection should be mutually supportive. The youth should indulge in campaigns that focus on the necessity of keeping the environment clean in the localities where they reside. In particular, comprehensive health programmes in preventive medicine, including immunization and control of communicable diseases should be implemented. There should also be strong support and faster implementation of campaigns to tackle the social causes of diseases – like the ‘roll back malaria’ initiative, and programs to fight HIV/AIDS. Quality basic education, as well as secondary and higher education, vocational training, and skill acquisition throughout life are indispensable tools to eradicate poverty. Education and awareness of citizen’s rights are two major gateways for eradication of poverty. The youth should also take advantage of government/NGO programmes that support youth entrepreneurship and other poverty eradication programmes. When we empower girls, everybody benefits. Girls who are educated, healthy and free can transform their communities and pass on the benefits to their children, and to their children’s children. Yet the reality is that women are still treated as second-class citizens of this world; girls are almost completely ignored. Girls have no status, no protection and no prospects in many families and communities – and this is simply the way things are. Inequality is so entrenched that it isn’t even questioned. That is why today, the International Day of the Girl, marks an important step. The importance of investing in girls is increasingly understood among policy-makers. 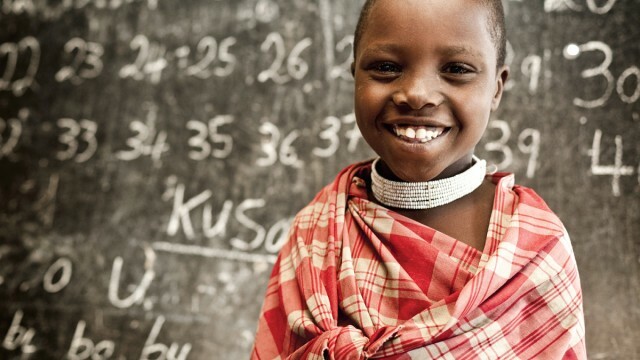 Kenya is already doing good work, focusing specifically on girls’ education and economic independence, preventing violence against girls and women, preventing forced early marriages, preventing Female Genital Mutilation, and supporting safe childbirth. Yet there is still much progress to be made. When we look at some of the important areas where we can work towards the empowerment of the girl child, education stands as top priority. If international conferences on empowerment of girls are anything to go by, education is by far the most critical of aspects to be examined. While we take Kenya as our primary example, the truth is in fact widespread internationally. Of the children not attending school, girls seem to be in higher numbers than boys. This naturally translates to a higher number of women being illiterate, compared to men. Providing girls with basic education is a simple assurance of giving them greater personal power and independence. They will be able to make better choices for themselves than depend on those around them for the same. This ability must not be a luxury for them but rather a necessity. Going by just the fact that we will have happy and healthy women with such a move should be motivation enough for us to promote girl’s education. If we look at the bigger picture, an educated woman may also contribute to society in several ways with her skills and confidence. Her efficiency as a parent, worker and a citizen of her country are greatly improved. Educated girls are likely to postpone marriage to an age when they are well prepared mentally and materially as well. In our country alone, infant mortality rates among primary level schooled mothers are half of what they were when compared to illiterate mothers. Studies also show how women get more productive at work and thus command a better pay scale. International studies show that every additional year of schooling increases a woman’s earning capacity by 15%. For a man, this figure stands at only 11%. Get more parents involved: A family and community will need to work together to understand the importance of female education and provide them opportunities for the same. Budget education and flexible timings: Basic education must be free or at a subsidized rate. If stipends and scholarships are included, the incentive to enroll students will be higher. Being able to compensate for the lack of a working member of the family is what is needed. Schools in the vicinity: Parents worry about child safety. Having schools close by and having female instructors will be of great help. The Alfred Polo Foundation works towards empowering the girl children by promoting education among the under-privileged. This is done through donations as well as collaborations with schools that may need help. The burden of unemployment rests disproportionately on the shoulders of the youth. Due to demographic shifts that have created a massive youth bulge, today one-third of the country’s population is between 18 and 34 years old – far more young people than there are jobs to support them, according to the United Nations Development Programme (UNDP). The situation grows worse every year: According to the World Bank’s Kenya Economic Update, while 800,000 youth reach working age annually, only 50,000 new formal modern-wage jobs are created. It’s because of this imbalance that 80 percent of the country’s 2.3 million unemployed are between the ages of 15 and 34. Faced with this grim scenario, Kenya’s youth are flooding into the informal sector, which, in 2011, created six times as many new jobs as the formal sector did. Those with enough capital and technical know-how go about founding start-ups. Whether starting an informal business or start up, various skills are important in determining the survival of the business. Some businesses succeed despite their leaders, but as a general rule, it’s the leader that determines the direction of the strategy, provides the inspiration and shapes the culture that will keep the talent motivated and productive. The leader employs the tactics and decisions that form, to a large extent, how the competitive advantage will play out. * Effective leadership is about mentoring, coaching, and teaching your team. The more you can work toward developing the talent you already have, the more likely they are to increase their productivity. It also helps them stay loyal and committed. It will help them feel inspired to offer ideas that can further help the business gain a competitive advantage. Personally I’ve found it helps you reach your strategic targets faster. * Your interest in developing the gifts of the talent already on your team illustrates that you are acknowledging they have a tremendous role in business results. It also shows them that you value them as individuals. * In return, they will want to do more for you and the business. They’ve been made to feel more like an integral part of the organization. * Your ability as a leader to see where improvements can be made is crucial. You should clearly communicate what can change to further efficiency gains. This includes providing the resources necessary to make those improvements. * First, in being able to show how efficiency is needed illustrates to your team that you are interested in continuously improving the business and that you are willing to put the company resources into building greatness. This makes their job easier and alleviates some of the time-consuming tasks or duplication of efforts. Your team can focus more on your customers or other aspects that drive revenue for the business. * This can help the business do things differently to press forward and succeed in a big way. Moving your innovation through can also be a means for developing the disruptive solutions that can set the business apart from the competition.